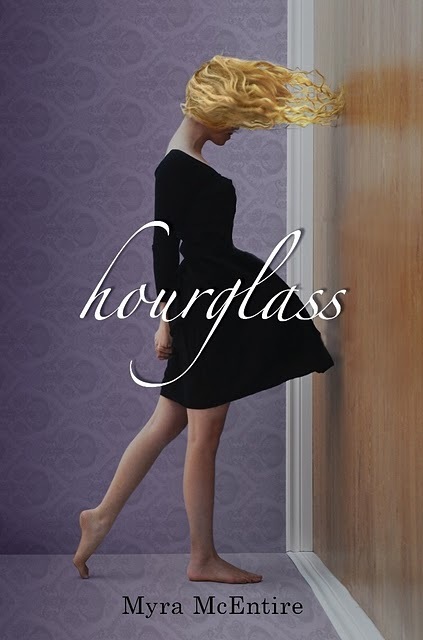 The cover of Myra McEntire's debut novel, Hourglass, was revealed today! It's eyecatching, isn't it? I like it a lot for reasons I can't quite explain and maybe it's because I have yet to read the book. I know that's lame to say but it just has a certain je ne sais quoi. It would definitely make me take a second look it it was face out on the shelves. What do you think? Leave it in the comments! Also visit Myra's blog and leave her some cover love. There's a link below. Read Myra's post and the back cover copy on her newly redesigned blog HERE. Coming May 24, 2011 from EgmontUSA. Omg, I LOVE how original the cover is! It reminds me of Inception :) when they're doing the kick. Its haunting and the colours were chosen well. I love this cover, like a LOT!